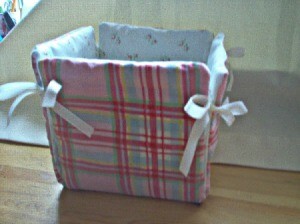 These cute fabric covered boxes help keep things organized and could be given as gifts. 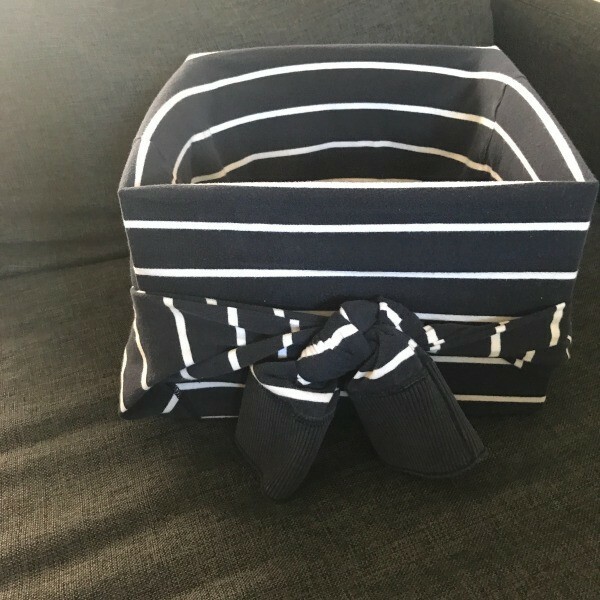 This is a guide about making fabric covered storage boxes. These make nice storage boxes for cotton wool, hairbands, etc. Cut 5 squares of card, for this box I used 5" squares, but you can make them any size you wish. I tend to do a set of 3 boxes in graduating sizes. 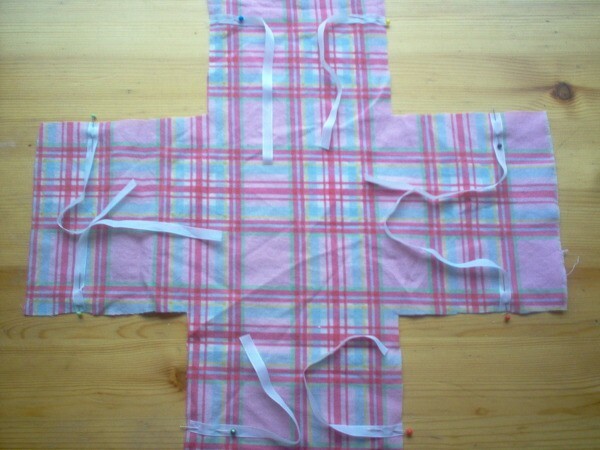 Cut material into a cross shape allowing 1/4" seam allowance. Cut ribbon into 8 equal lengths and tuck inside the 2 pieces of material, with the long end inside. 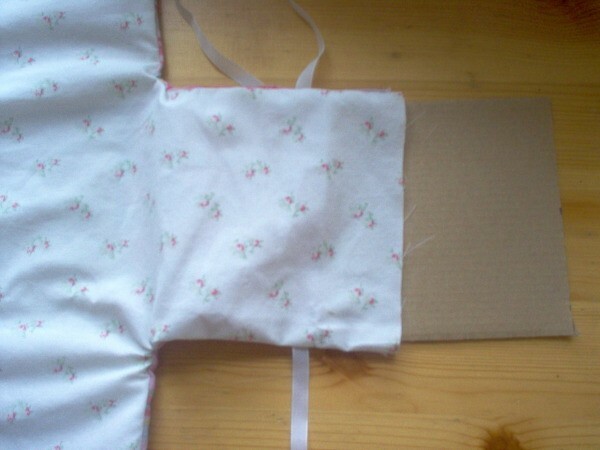 Sew around all sides leaving one side open. Turn piece out ensuring corners are pushed out. Insert a piece of card into each square and then close gap with small stitches. Bring each side up and tie ribbons to make a box. 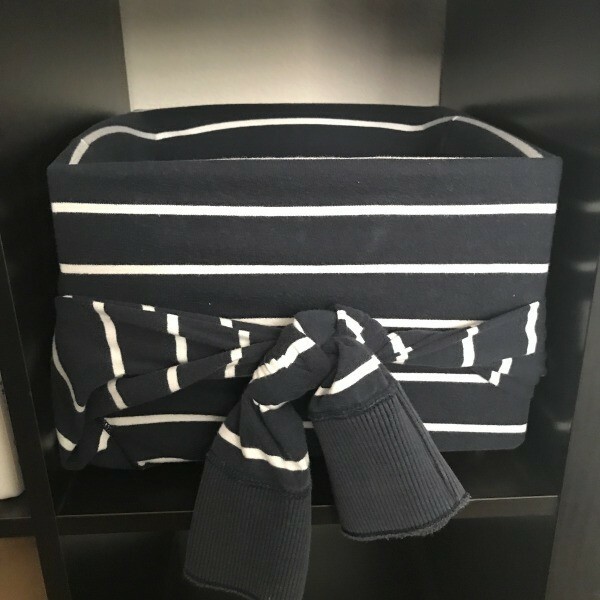 You can easily reuse boxes as decor storage boxes for your shelf with an old sweater. 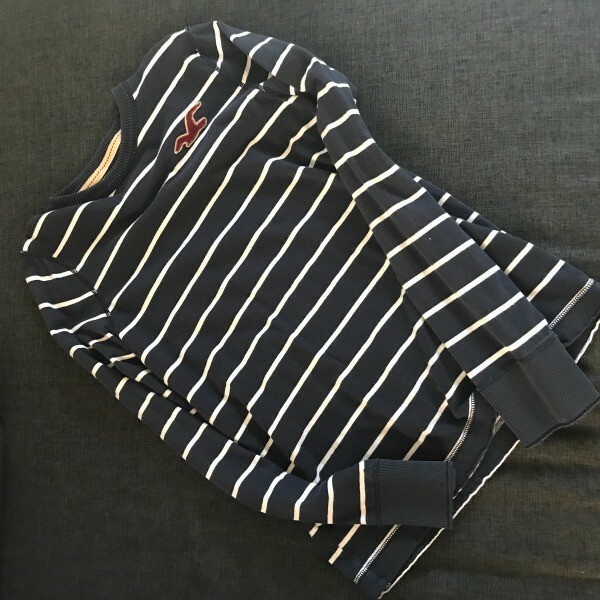 Open the sweater and put your box into the sweater. Then wrap the arms into a knot and you have a storage box ready to use. These fabric covered boxes make great gifts filled with treats. Watch this video and learn how easy it is to make them. I'd like to know how to make a cloth basket using old clothes and material scraps. 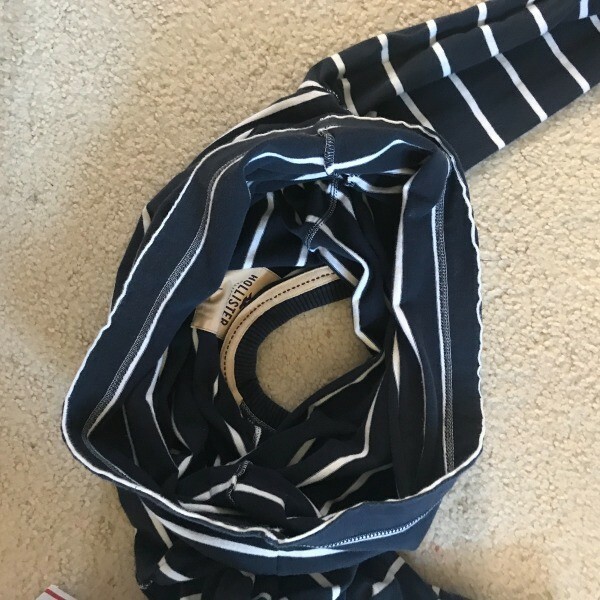 I have everything from basic fabrics to jeans to sweaters to use. Baskets can be so expensive, so I'd love to make my own. I'm looking especially for rectangular baskets (so I can stack them a bit). Easy/beginner level if at all possible. 1. Figure out the dimensions you want. 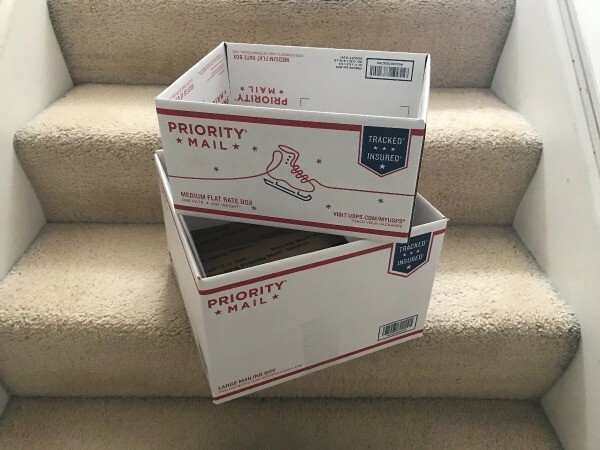 You said you want rectangular baskets, so find a box (shoebox?) that is the size you want, and open it up flat. This will become your pattern. You can adjust as needed. 3. Cut some cardboard or funfoam the size of the bottom, and each of the sides (5 pieces total). they shoudl be a littel bit smaller than the sides. 4. 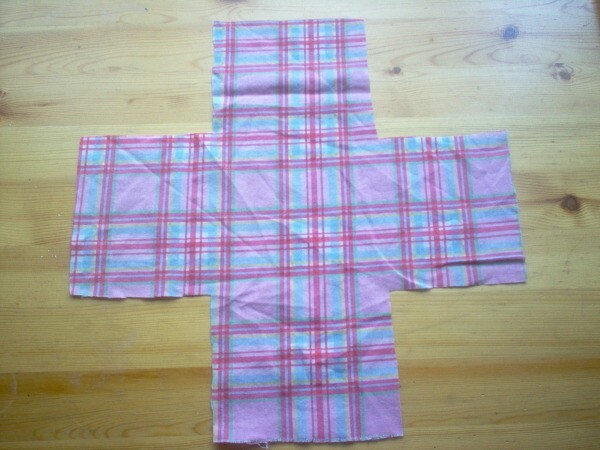 Cut some flannel, batting, or towel to go in the middle to give it a little body. 5. Layer all these things together lke a sandwich - outside fabric, cardboard/foam, flannel/batting, inside of the basket fabric. 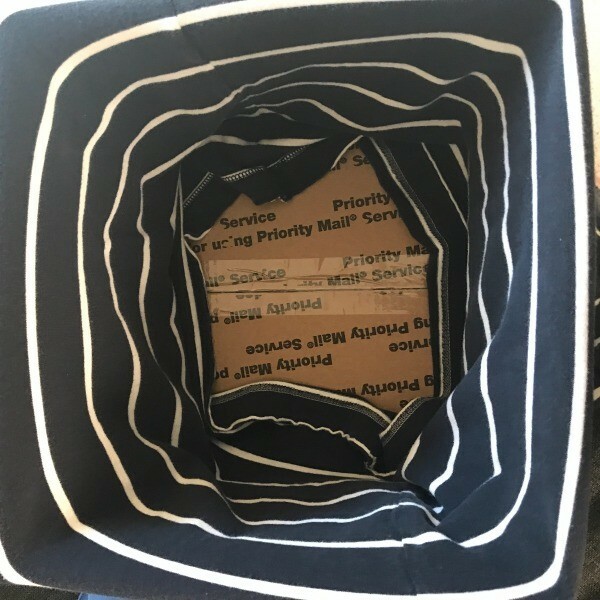 Pin everything together around the outside, and along where the box will "fold" being sure there is no cardboard/foam underneat the folds. 6. Stitch all these seams (will look almost like tic tac toe with a box around it. 7. Cut ribbon that you like into pieces about 6 inches long, and stitch them diagonally at the corners (about 1/2 inch from the tip of the corner. 8. Use bias tape, and sew it all around the outside. Tie up your corners, and you have a basket! If you use the fun foam, you can wash it, but don't put them in the dryer. If you use cardboard, don't wash it. I have also used needlepoint canvas for the inside, but it is bulky.